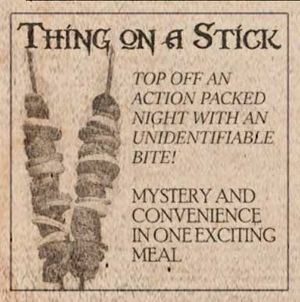 Thing on a Stick! 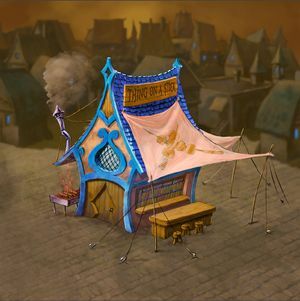 is a questionable Food Vendor in the town of Tinderbox. Mad Onnel runs an outdoor kitchen where he sells food cooked on sticks. The menu changes daily. It’s cheap and usually only popular with drunk people. This page was last edited on 1 March 2019, at 04:03.